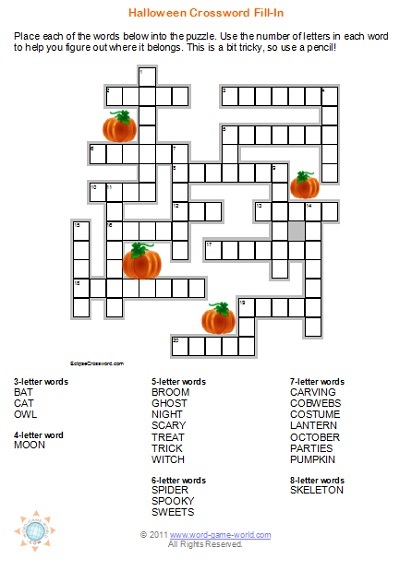 Halloween Crossword Puzzles Are Great For Your Fall Party! ...this new Halloween Word Scramble! Just in time for Halloween, here's an eye-catching new word scramble that's suitable for classroom parties, family night, or just about any other Halloween event. It includes 12 not-too-scary ages, making it appropriate for all ages. Here's a fun Halloween word search puzzle, suitable for all ages. How long will it take you to find all 30 words related to this special fall occasion? Use the convenient printable puzzle for your home, classroom or holiday party. This is a great supplement to our other Halloween crossword puzzles. 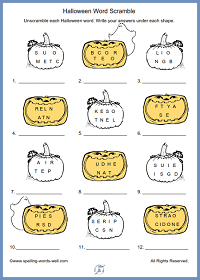 Fall Word Search Super-simple fun word search for autumn, perfect for early learners. Football Word Search Are you ready for some football? How about a football word search? Find 54 terms related to football. 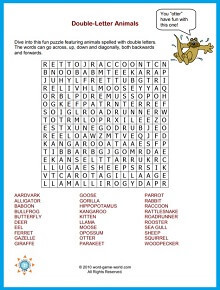 Kids' Word Search Collection Kid-friendly, fun, free and printable word search puzzles on a wide assortment of appealing topics. Spanish Word Search Puzzle Do you know the Spanish word for these English number, color and calendar words? Double-Letter Animals - This one "otter" be a lot of fun, no matter your age or location. For an extra puzzler, how many more double-letter animals can you man that are not on our list? Come to the Circus! Step right up to the big top for this fun puzzle with 25 words. 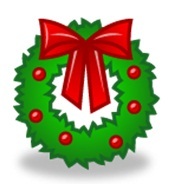 Holiday Word Search It's always fun to celebrate Christmas. Perfect for any holiday gathering! Martin Luther King Word Search 40 words related to Martin Luther King's family, education, ministry and work as a civil rights leader. Can you find them all? Valentine Word Search Are you ready for Valentine's Day? Here's a unique Valentine word search for your party, your classroom, or to solve on your own. While you're here, please take a moment to look around the site. We have lots of crosswords, including collections at easy, medium and difficult levels, plus plenty written just for kids. In addition to traditional word search puzzles, we also have very unique puzzles including Buzzwords and ZigZags. Try them all!